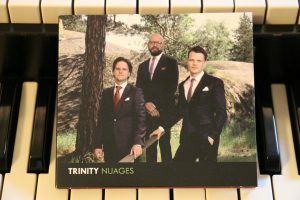 4th CD ”Nuages” finally released! Our 4th album ”Nuages” was officially released on Friday August 10th. As usual, it’s a mix of beloved standards and our own songs. 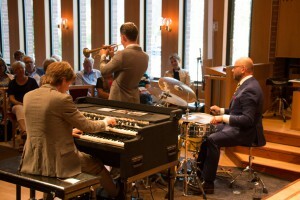 A swinging journey of different moods and sounds. However, the release concert was held one week earlier, on Friday August 3rd at Ystad Jazz Festival. We played at cozy Hos Morten café in the sunny afternoon. Great concert, great festival! I april var vi i Atlantisstudion och spelade in vår 4:e skiva. 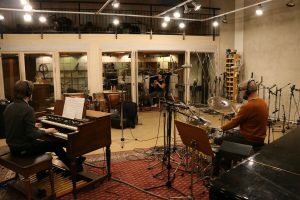 Produktionen pågår för fullt och den kommer att släppas den 3 augusti, i samband med att vi spelar på Ystad jazzfestival. Mycket av materialet kommer ni även att kunna höra på sommarens kyrkkonserter. Se konsertprogram i högerspalten. A couple of years ago we added this beautiful tune to our repertoire. 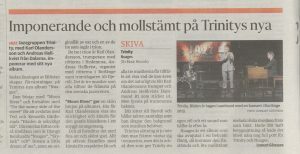 This is how it sounded last summer in Brännkyrka church. We put up some new videos on our YouTube channel! Both of them are recorded at Brännkyrka kyrka on August 18th this year. Enjoy! 2015 is almost over and we’ve had our last gigs for this year, which was our tenth anniversary. 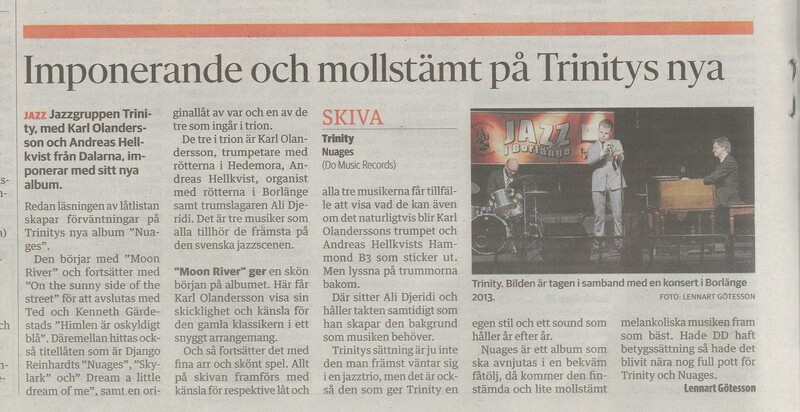 We’ll start 2016 early by performing at the festival Trettondagsjazz in Gävle. Hope to see you there! To the right is a picture from one of the great memories from 2015. We played at the Hemnesjazz festival in Norway. It was the first gig abroad, and also the most northern gig we’ve had so far. 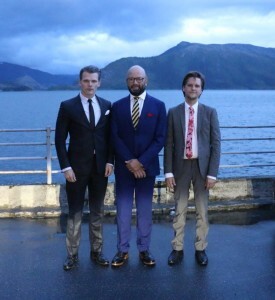 Here we’re posing i front of the fjord, right before the gig. Thank you for all support this year. Have a Merry Christmas and a Happy New Year and see you in 2016! Today we celebrate our 10-anniversary! It was on July 18th 2005 that we had our first two gigs. This calls for celebration of course! Below are some links to check out. 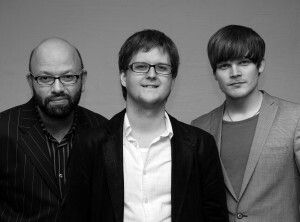 The picture is one of the first group shots taken, from 2007. Today, June 6th, is the national day of Sweden, Last year we celebrated this with a concert with Uppsala big band. The arrangements were written by Mats Engström. Here’s one tune from that concert. Ali Djeridi’s ”Loj”. Enjoy! On our last album Three we recorded an uptempo version of Erroll Garner’s Misty. It has become one of the favorites, both to the audience and ourselves. Here’s a recording from earlier this year. Enjoy!